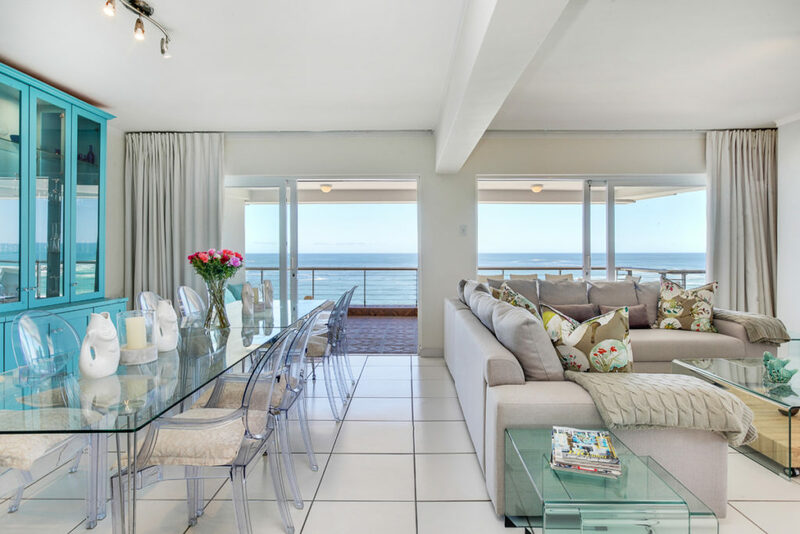 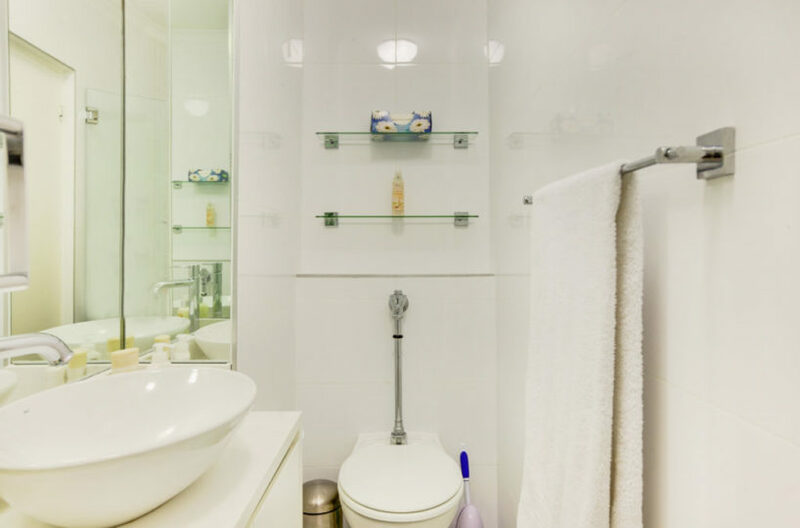 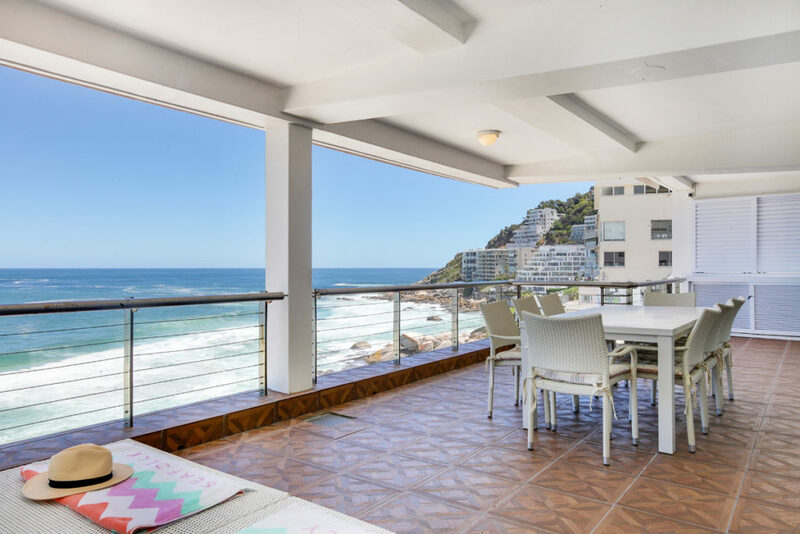 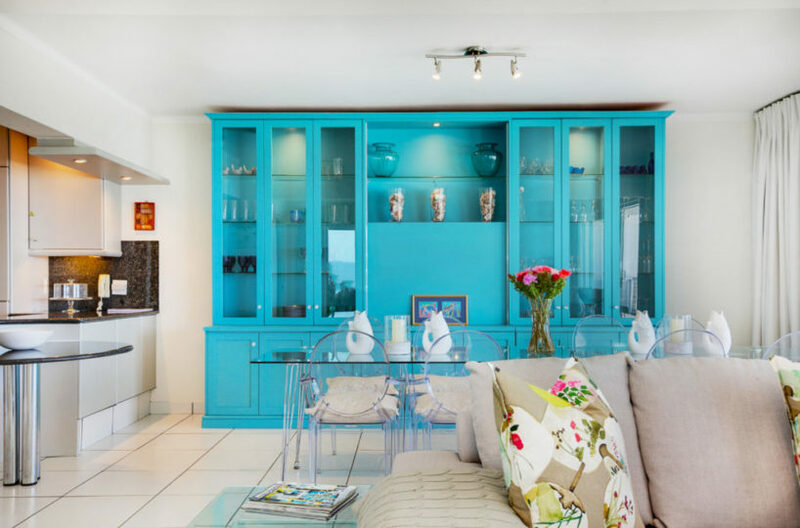 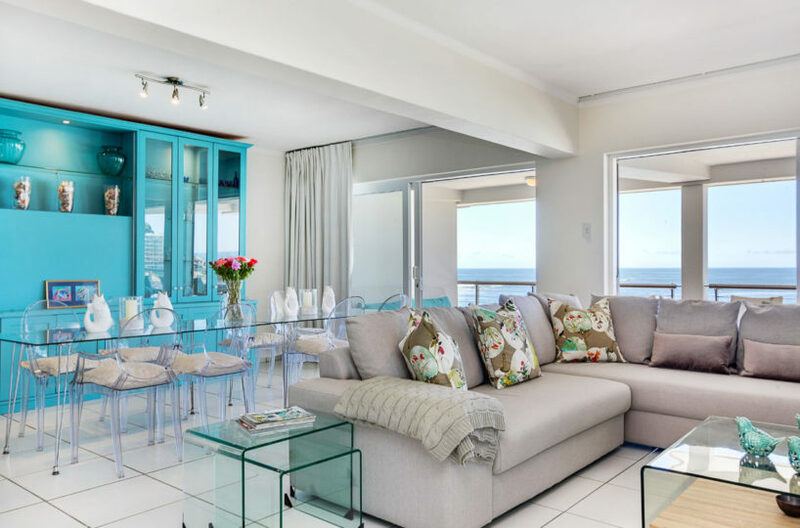 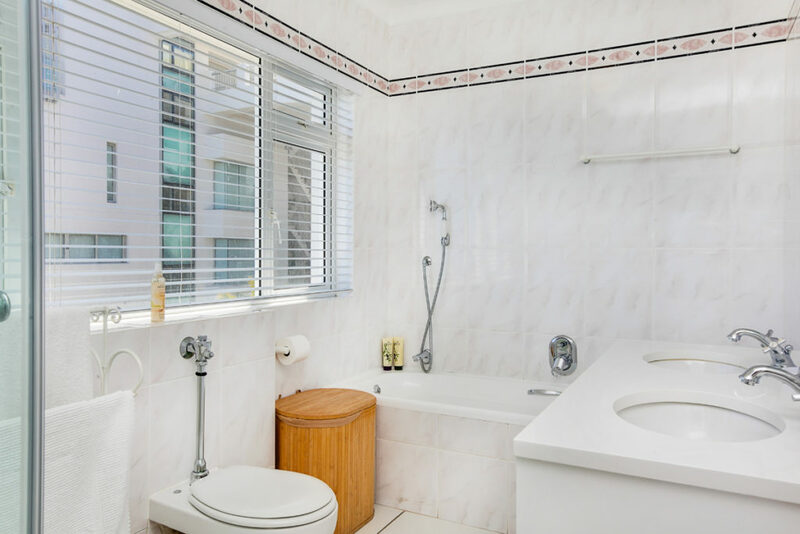 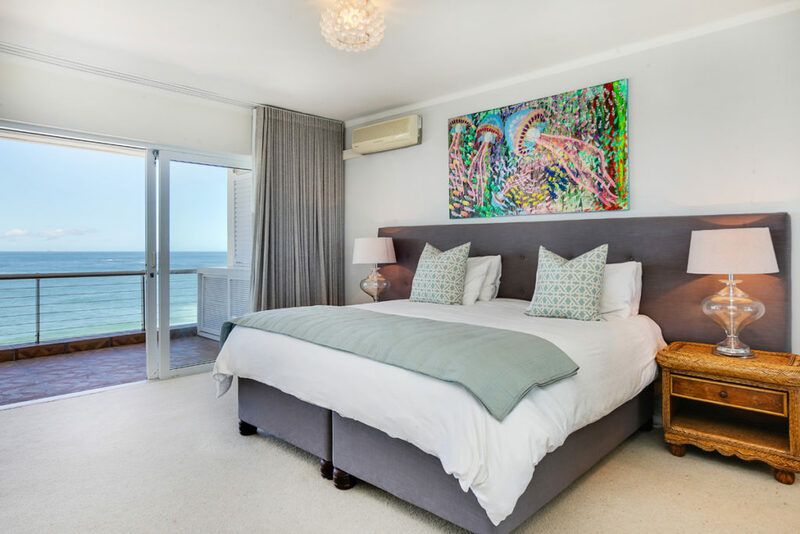 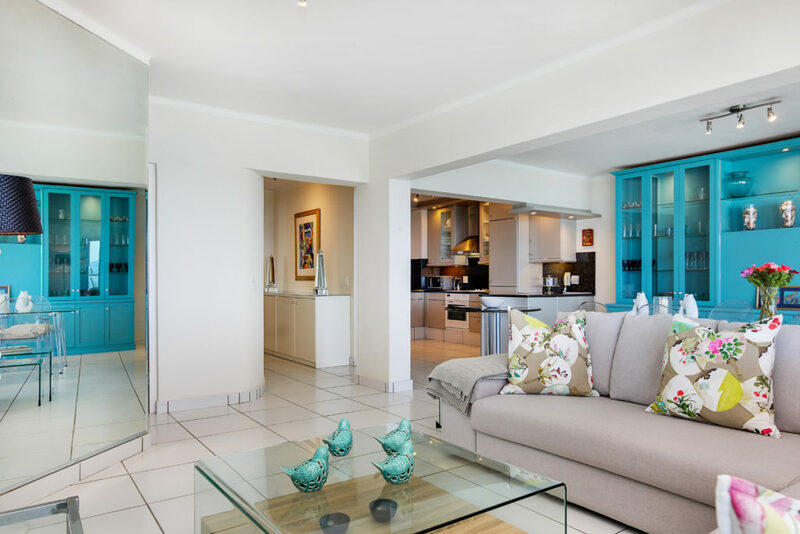 A freshly decorated 2 bedroom apartment right on Clifton 1st Beach, Cape Town. 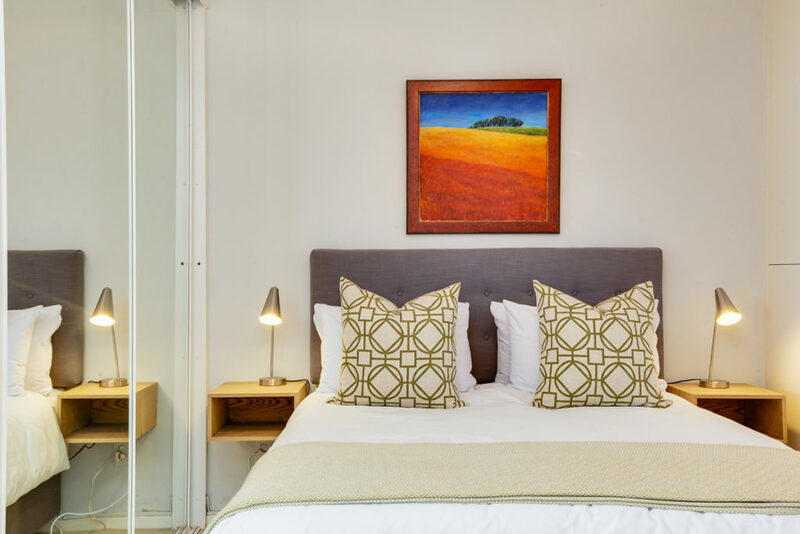 The apartment is accessed from Victoria Road onto roof top parking, where you will have 2 dedicated covered parking bays. 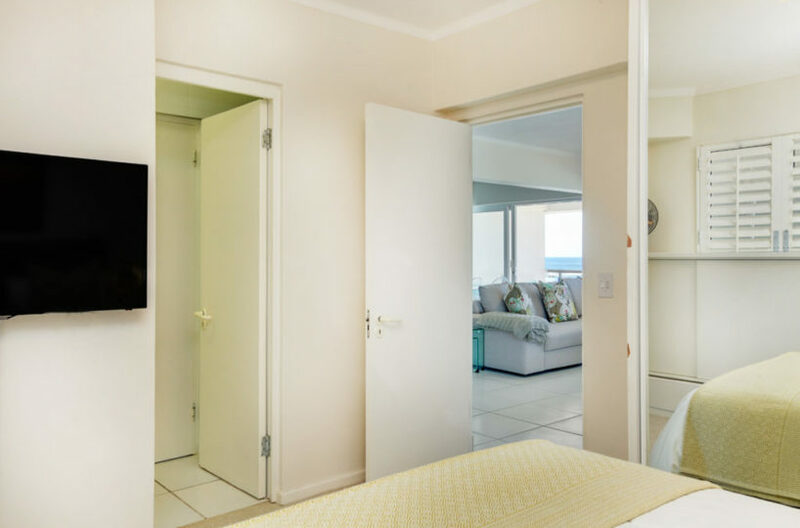 The lift will take you down to the apartment which faces directly onto Clifton 1st beach. The famous San Michele apartment building has 24 hour manned security and someone on call should you need help with anything. The beach apartment has 2 double bedrooms en-suite, with the master bedroom enjoying stunning sea views. 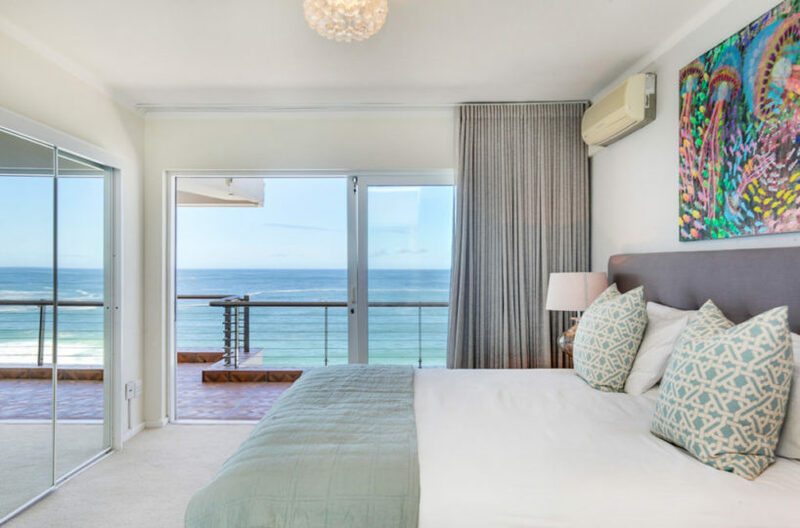 The second double bedroom does not have sea views but is still a good size and has its own bathroom. 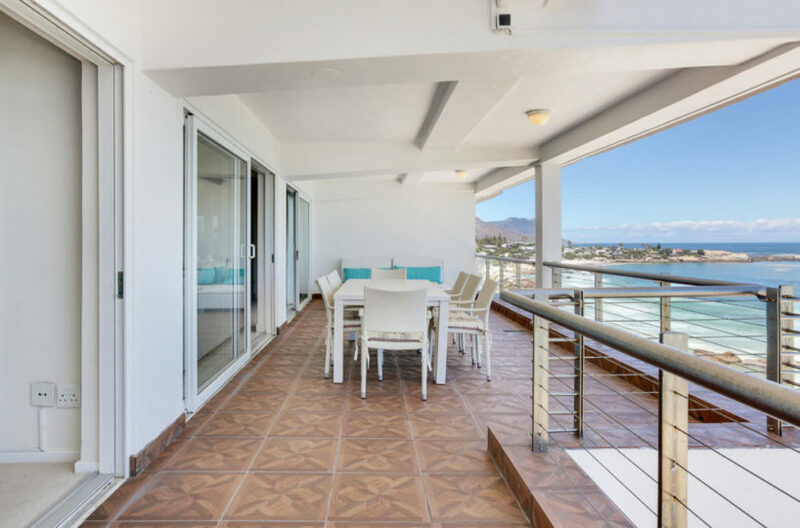 The main living / dining area is open plan and leads onto a spacious balcony with lovely wooden decking. The balcony has an outdoor dining table and two over sized sun loungers to relax in the sunshine. 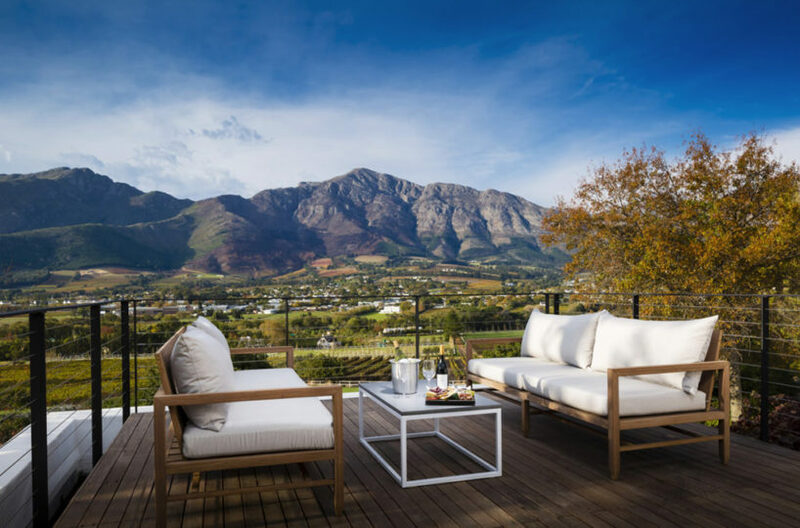 The balcony faces the sunset 360 days of the year and is therefore the perfect place to enjoy a sundowner! 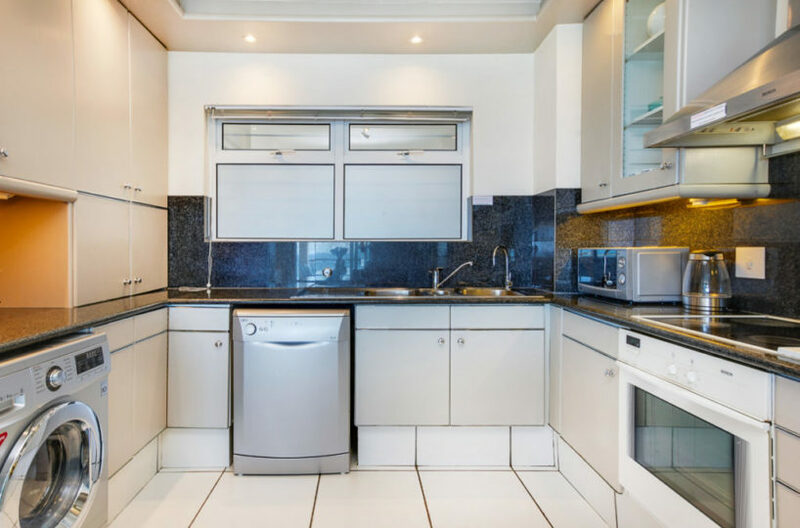 The kitchen includes all you need for cooking something delicious at home as well as a Nespresso coffee machine. 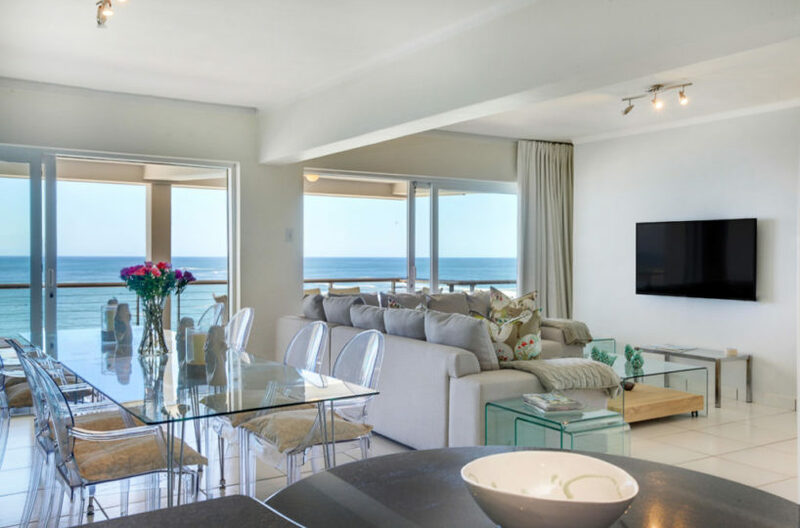 The apartment is in a very special location where you have direct access to the beach from the apartment building. 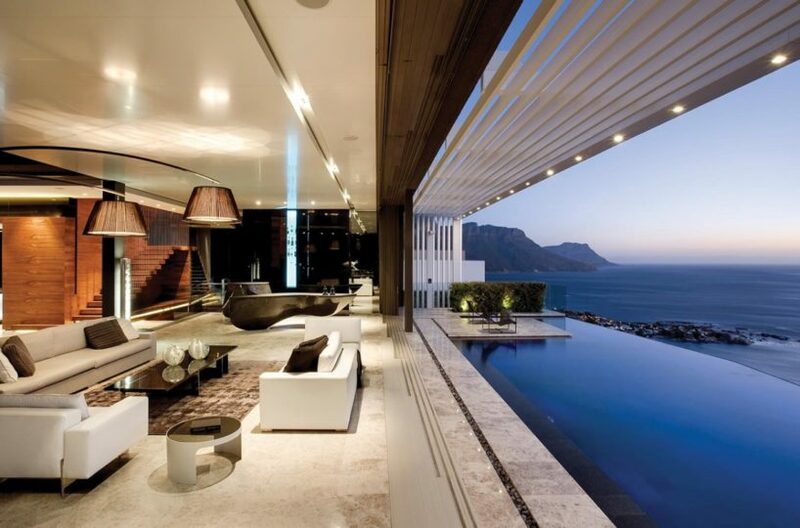 Camps Bay and Sea Point are both within walking distance or just a short drive away. 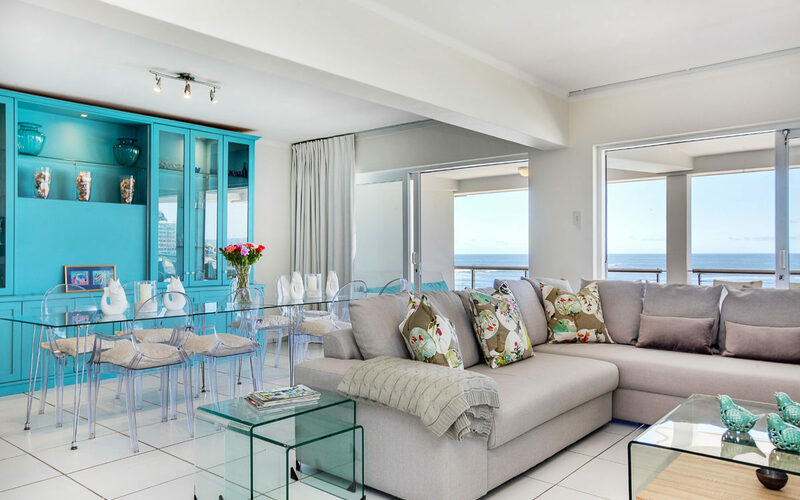 The V&A Waterfront, Table Mountain, Lions Head, Cape Town City Centre are all within 10-15 minutes drive. 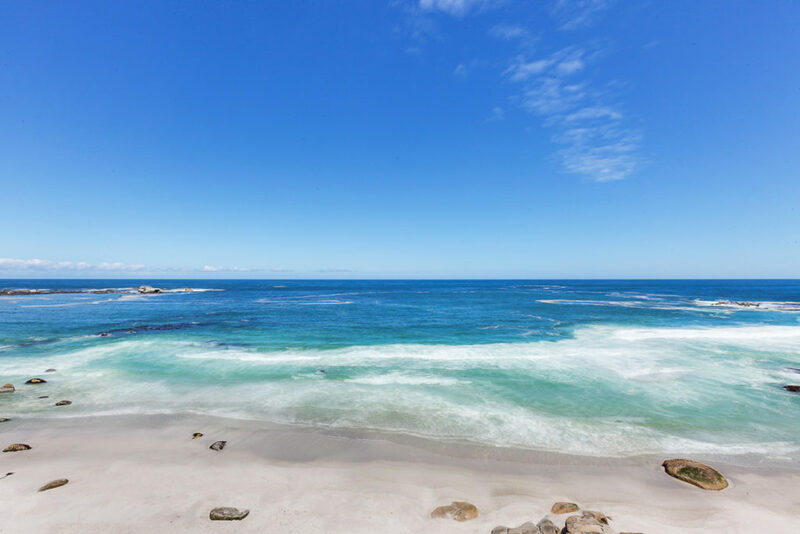 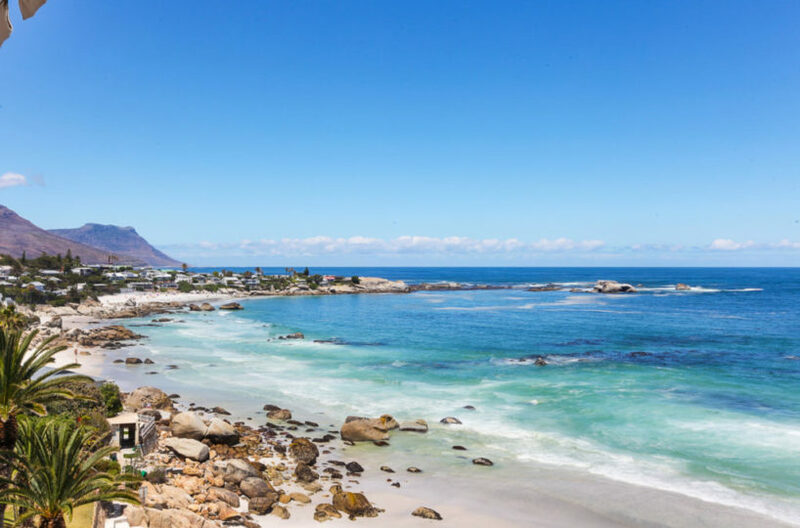 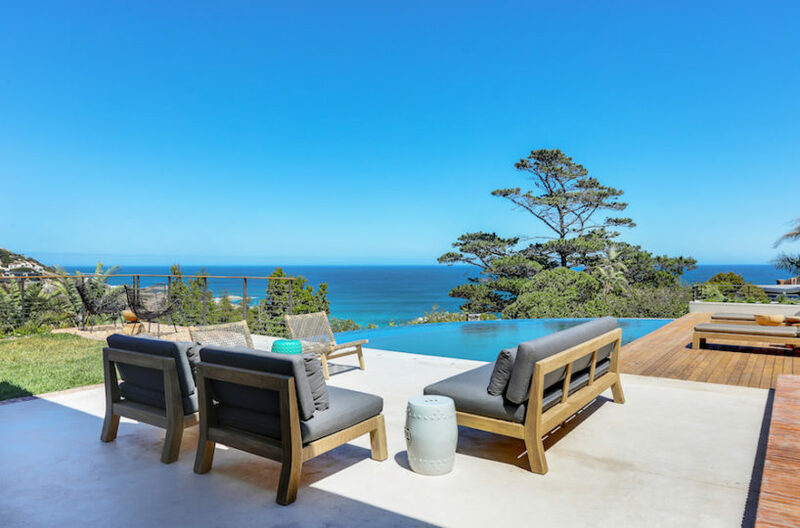 Clifton is one of the best beach locations in Cape Town, not only due to its white sand and azure blue water but it is also protected from the wind. The apartment includes Wi-Fi and full DSTV.